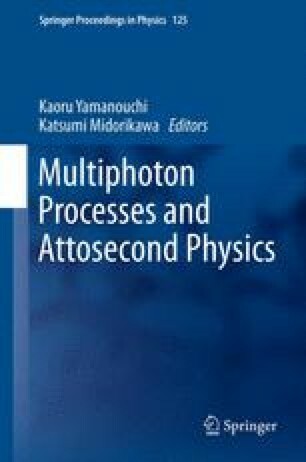 The output photon number from a time-compensated monochromator was increased up to 7. 1 ×109 photons/sec by employing phase-matching technique: Ti:sapphire laser pulses (30 fs, 1.0 mJ, 800 nm pulse at a 1 kHz repetition rate) were focused into a 1-cm-long, 500-μm-bore-diameter, hollow fiber filled with krypton gas. The harmonic photon energy was tunable between 23 and 39 eV. The output photon number on target was comparable to a small synchrotron radiation at the same wavelength region.